Dog Talking with Tracie Hotchner | Will My Dog Hate Me? This past Saturday, I was on “Dog Talk,” a NPR affiliate show hosted by Tracie Hotchner. The author of The Dog Bible, an invaluable resource when I was writing Am I Boring My Dog. Tracie was so enthusiastic about my book that I couldn’t wait to post the interview. I figured it would be simple to edit out the 45 minutes during which I wasn’t on air. Sometimes I forget just how technically inept I am. Long story short: I asked Anthony Holloway, CEO of k9Cuisine.com and a previous guest on Tracie’s show, how he edited the clip he posted. Anthony, one of the nicest people in the universe, offered to do it for me, and I gratefully accepted. He then edited it further, to eliminate an intrusive cat, and posted it on his site so I could have a url to link to. If there is a heaven for those who take pity on the technoramuses, Anthony will get instant entry, if I have anything to say about it. In the meantime, on earth, you have my endless gratitude Anthony. Congrats on the Dog Talk segment! Way to go! And wasn’t that nice of Anthony to help with the techie stuff?! Yes! Anthony is a saint (or, as my people would have it, a real mensch)! Good interview. The humor really came through! Fabulous interview, Edie! I l thought Hotchner did a great job communicating the value of your book, relating to her audience the easy read you made it with witty, humorous delivery of seriously useful accurate information. Anthony is just the nicest guy around – as busy as he is with his excellent dog food biz, he took the time to give you this edited version of the show! How great is that? Thanks to Google alerts i discovered that Edie & Anthony are busy at work slicing & dicing DOG TALK – I had no idea you could even do that – so live & learn! 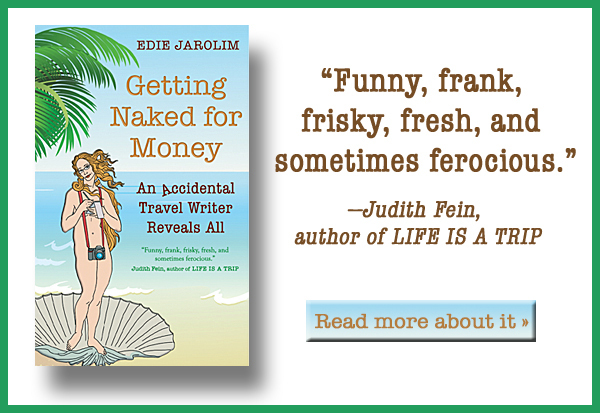 I did love Edie’s book- as should be clear by now – and talking to her on my show. And Anthony is a terrific fellow, I’ve worked with him getting the word out about his terrific assortment of only-the-best foods (including great treats for cats and Weruva, my favorite cat food of them all). I’ve been helping get Nordic Naturals fish oil onto his fabulous site- and just today on DOG TALK I praised his website for carrying all those crazy novel proteins like kangaroo & possum. Dr V of Pawcurious.com was on (who is also a good pal of Anthony’s and of K9Cuisine.com’s commitment to excellence – so it looks like we’re all one big happy family here! Hey, Tracie — thanks for stopping by! I can take no credit for the slicing and dicing (sounds like a Ginzo knife); I just sat back and benefited from Anthony’s expertise (and of course his kindness). To complete the circle, Dr. V also wrote a generous review of Am I Boring My Dog on her blog. Not only are we one big happy family here in the virtual community but we’ll also all be at BlogPaws where we can raise a glass to each other and drink to our commitment to the furred ones.